-The operation box is mainly made of the main cabinet, excessive room and pedestal. If there are other special requirements, it can also be designed or adapted as needed. -There are two to three glove interfaces on the main cabinet. 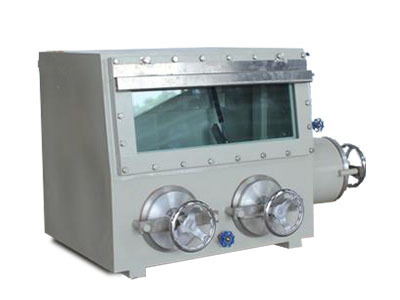 -The front of operation box is organic glass, through which the operator can clearly observe the casing procedure with broad perspective. -There are two vacuum ball valves (one internal and one external) with faucets on the box, where operators can use it for special operating requirements, such as injecting water or ventilating. -The cabinet has lighting bulbs and porous sockets.